One of the fruits of the Diocesan Forum in late 2012 was that the Ithaca Team was formed. Ithaca Team is a group of volunteers working to improve communications within and between parishes in the Catholic Diocese of Helsinki. The group's name comes from a poem by Constantine P. Cavafy. Since its founding, the group has worked with an index of articles in the Diocesan magazine Fides, Saint Henry's Cathedral Parish website, the Holy Cross Parish website and, from October 2013, with the new website Katolinen.﻿﻿net, the news feed from which you can see on this page. 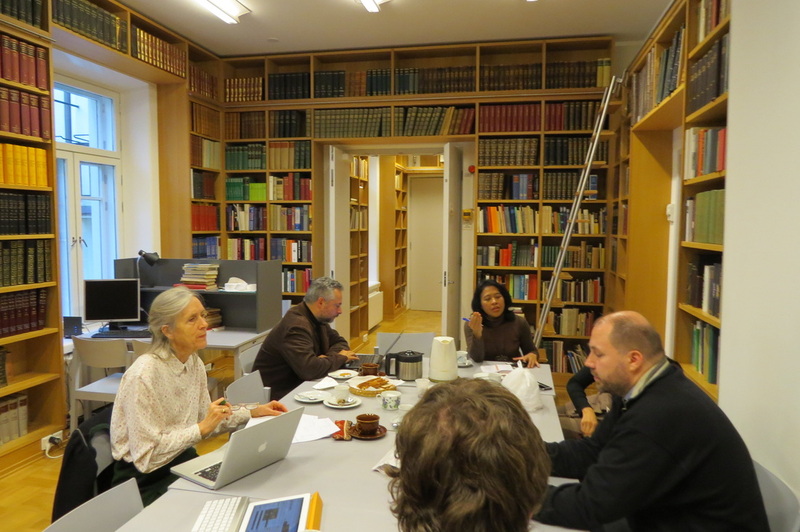 Ithaca Team during a meeting at the Studium.